When you apply for a credit card, it can feel insulting to be offered only a low limit, which won’t be of much use to you. But too much credit can be dangerous, too. A high credit limit can encourage overuse and make it easy to rack up too much debt. Unfortunately, you won’t know exactly how much credit will be extended to you until you’re approved for the card. If you’ve been surprised by the credit limit a lender has offered you, you’re not alone. It can seem like a mysterious process that happens behind closed doors — but there are specific methods lenders use to determine your credit limit. So, how do credit card lenders figure out how much credit to give you? Different cards use different methods. Here’s a brief overview of each of some of the determining factors. Some credit cards come with preset limits. For example, a blue card might offer a $500 limit, a gold card might offer $1,000, and a platinum card may offer a $2,500 limit. 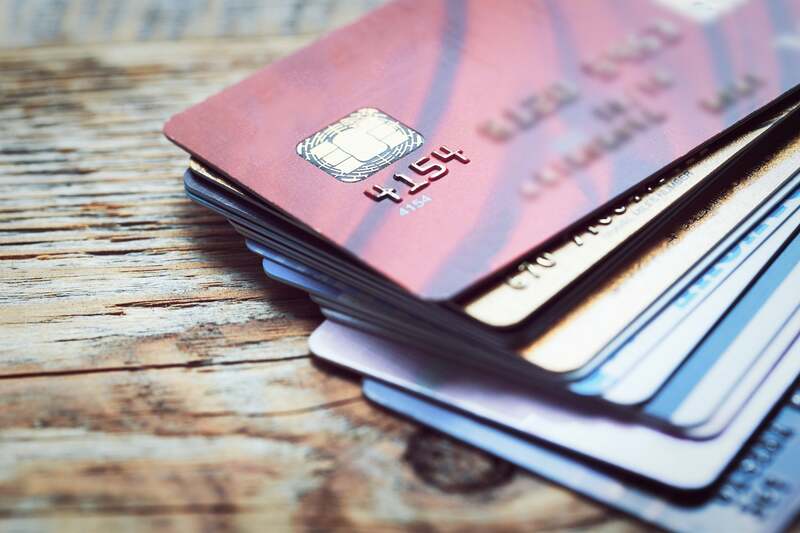 With these types of lower-risk cards, limits are generally lower and you get the amount of the card you applied for upon approval, or you’re declined, based on your credit score. For other types of credit cards, lenders will look more closely at your credit report and credit score to determine how much credit they’re willing to offer you. For example, a credit card might be available with a credit line of $1,000 to $5,000 or more. The better your score, the higher the credit limit you’ll be awarded. These factors are used to help determine how much of a risk you will be to a lender. Personal income – Do you have the income to support a credit card without getting into debt trouble? Debt-to-income ratio – What percentage of your income is already dedicated to paying down debt? A high percentage indicated that you’re a higher risk. Repayment history – Have you made timely payments in the past? If so, you’ll probably be dependable in the future. Limits on other credit cards – What have other lenders been willing to give you? If your other cards have a low credit limit, subsequent cards for which you apply may not be much higher. Co-applicant income and credit information – If you’re applying for credit jointly, what is your co-applicant’s financial and credit health? Most credit card lenders will adjust your credit limits based on your track record with the lender. Maintaining good standing with the credit card company typically results in limit increases over time. If you exhibit trouble making your payments, however, they will likely lower your credit limit. You can also request a credit limit increase by logging into your account online or calling the customer service department. To request increases you’ll need to make sure the lender has your current income and other relevant information, and that it warrants an increase. Want to extend your credit limits but need help cleaning up your credit report? Contact our credit repair experts for advice you can trust. This entry was posted in Credit Cards and tagged credit card, credit limit, Credit Score, debt, debt-to-income ratio, income, payment history. Bookmark the permalink.